A Shropshire leisure business is pulling out all the stops to make this year’s action-packed and fun-filled festive season one to remember. 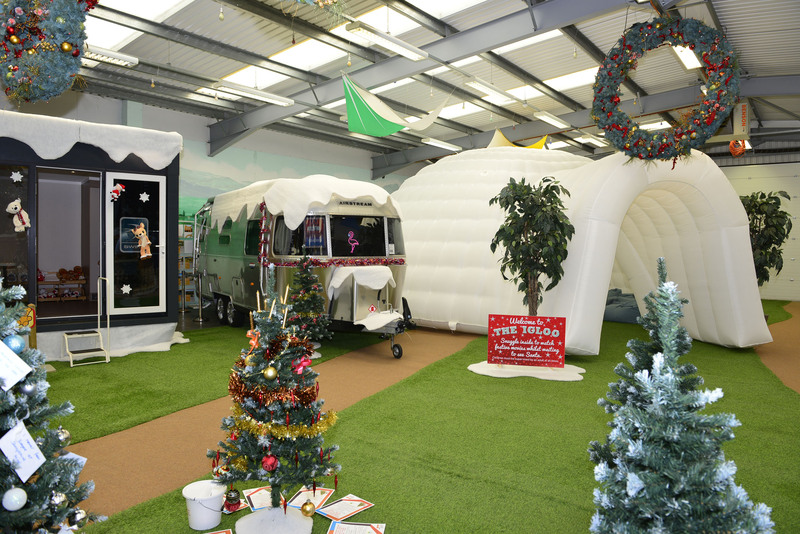 ‘The Salop Christmas Adventure’ planned by award-winning caravan and motorhome dealership Salop Leisure at its Emstrey Shrewsbury headquarters kicks off on November 24 and 25 with the Shropshire Handmade and Creative Christmas Gift Fair. The weekend also marks the opening of Santa’s Grotto, with elves guiding visitors through Toyshop Lane to Santa’s hidden woodland grotto. Complimentary craft making will take place with Santa’s helpers and a festive film will be playing to entertain those waiting to enter the grotto, which will be open until December 24 and last year attracted 1,600 children. A charge of £9 per child will be made to see Santa, which includes a gift and a souvenir photograph. Children and adults will also be able to book a place to have tea with Santa during December at a 4pm during week days and at 12 noon and 3pm at weekends. The tea, which includes a freshly made pizza, drink and festive treat at the Love2Stay luxury caravanning and glamping resort, costs £12 per child and £5 per adult plus a 50p booking fee and bookings must be made in advance, including online. There will also be a chance to post a letter in the North Pole letterbox to watch a festive film in a cinedrome with cookies, blankets and hot chocolate. 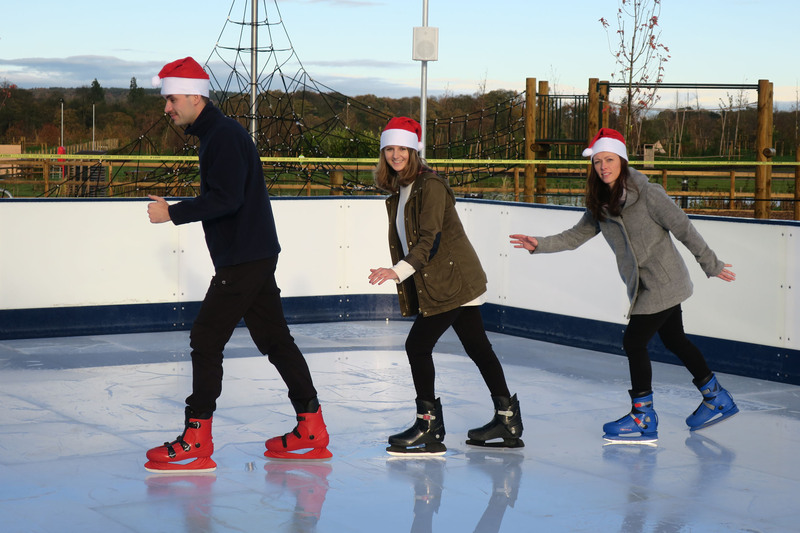 November 24 also sees the launch of Salop Leisure’s festive outdoor skating rink, which will be open until December 23. A fee of £9 per person for 45 minutes on the 96 square metre synthetic ice rink will made. Three thousand visitors enjoying the skating last year. The Salop Santa Dash, which was held for the first-time last year in partnership with Love Fitness, returns on Sunday, December 2. The £12 entry fee include a Santa suit and a festive themed medal and children under the age of eight years run for free. Entrants can choose to run, jog or walk one or two laps of a 2.5 kilometre circuit around the grounds of Salop Leisure, Love Fitness and Love2Stay resort. A charity donation from the proceeds will be made to the ‘Wear Red for Zac’ appeal, which is raising money to send Zac Oliver from Broseley to America for treatment of an extremely rare form of childhood leukaemia. As no home would be complete without a real Christmas tree during the festive season, Love Plants at Salop Leisure will again be selling freshly cut and potted trees in a range of sizes. To add to the festive experience, Love Coffee restaurant will be serving up special Christmas treats for visitors and Love Plants will have wreaths, decorations, trees and Christmas gifts on offer from November 25 and throughout December. Love Fitness at Salop Leisure will also be welcoming members of the public to the boutique fitness studio and purpose-builtbootcamp training facility and assault course in the run up to Christmas. “Salop Leisure will definitely be the place to be this Christmas,” said Ed Glover, Salop Leisure’s marketing manager. “With Shrewsbury Christmas Festival sadly being cancelled this year, we think there is a bigger need than ever for Christmas attractions in Shrewsbury. “Rather than closing in December like some in the caravan industry do, we spend thousands of pounds transforming our business into a winter wonderland and this Christmas is going to be exceptional. 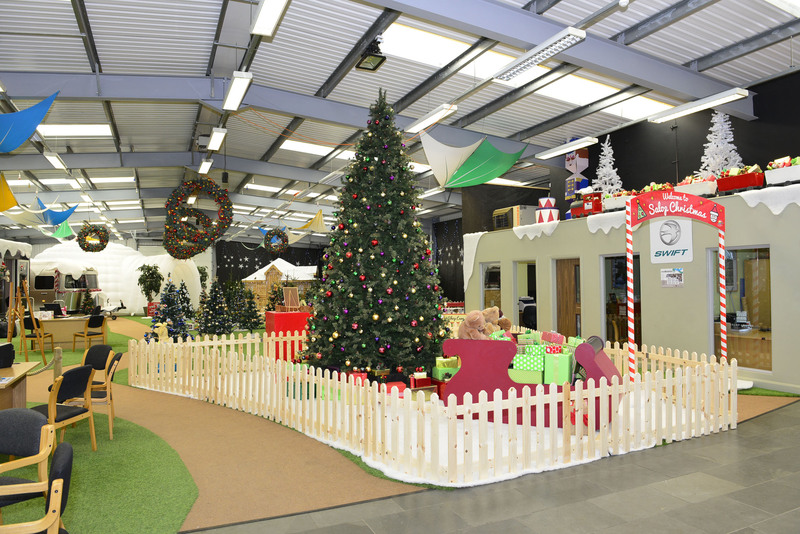 Salop Leisure’s showroom which was converted into a winter wonderland for the festive season last year. The synthetic ice skating rink returns this year.